The American Health Council has appointed Dr. Robert C. Hall, DPT, MS, BS to its prestigious Physical Therapy Board. Working in the healthcare industry for over 31 years, Dr. Hall is an expert in the field of Physical Therapy and Orthopedic Sports Medicine. Dr. Hall initially discovered his interest in Physical Therapy in high school where he was involved in high school wrestling. It was after an injury to his neck where his coach, who was also a physical therapist helped him to recover and gain strength back. His coach became his mentor and was this relationship that made him realize he would dedicate his future to a career in Physical Therapy, enabling him to provide the same level of care and help others. Dr. Hall started his educational journey in 1985 at the LSUMC School of Allied Health Sciences where he received his BS, Physical Therapy. He then continued his studies, achieving his Physical Therapy, MS, from the University of Kentucky in 1996. It was later in his career in 2007 that Dr. Hall fulfilled his desire to continue learning by attaining the further accomplishments of his MS, Military National Resource Strategy at the National Defense University and becoming a Doctor of Physical Therapy, DPT at Regis University. 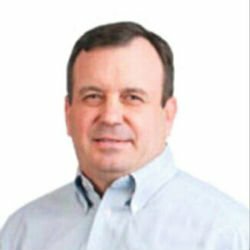 Dr. Hall has spent 6 years in his current position of Director of Longview Orthopedic Clinic Association Physical Therapy based in Longview Texas. With expertise in Orthopedic Sports Medicine and manual physical therapy, his day to day responsibilities see him manage the operations and administration for rehabilitation of the Orthopedic clinic working with a staff of 7 PA’s and 8 physicians. His extensive knowledge and expertise in the field has also led Dr. Hall to become the owner of Piney Woods Rehab Consultants, a contract Orthopedic and Sports Physical Therapy consultancy. As well as this, Piney Woods also offers orthopedic home health, early musculoskeletal injury intervention and youth baseball conditioning programs. Throughout Dr. Hall’s acclaimed career, he has had the honor of being the recipient of the Texas Physical Therapy Outstanding Clinical Educator of the year in 1991. He also received the further achievement of the Lance P. Sijan leadership Award, Barksdale Air Force Base in 2010. In the future, Dr. Hall hopes to share his knowledge and expertise by mentoring and teaching online physical therapy classes. He also plans on consulting in the area of strategic leadership. Dr Hall attributes his successes throughout his career to his family, his time in the military and his accomplishments throughout his education. Dr. Hall dedicates his time outside of work to volunteering to work with young athletes with Tyler HEAT Athletics. He also enjoys spending his time outdoors partaking in activities such as fishing, hunting and boating. Longview Orthopaedic Clinic is one of the oldest and largest surgical practices in East Texas specializing in Orthopedic Surgery. 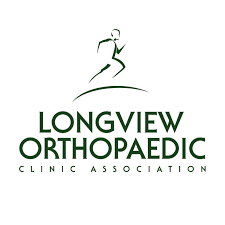 Longview Orthopaedic Clinic is committed to providing the highest quality care available.